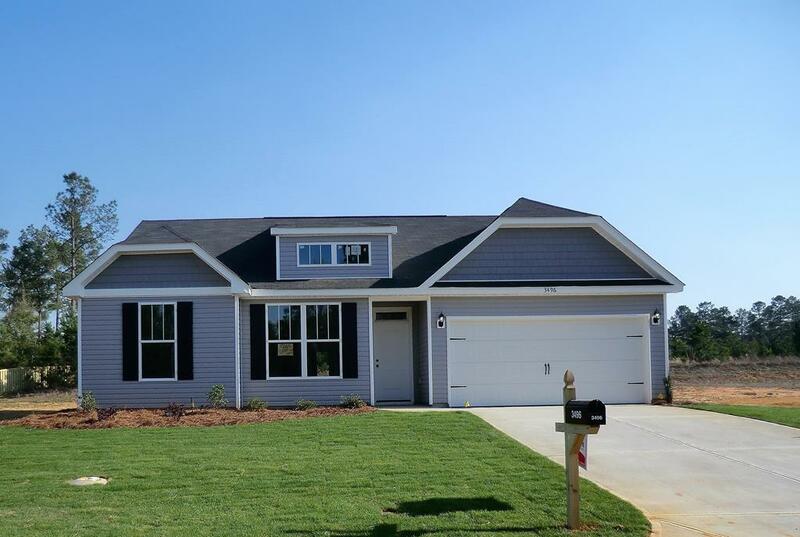 Creston Plan----One story open floor plan with a flex room and a split floor plan with a large master bedroom. Custom cabinetry, Frieze carpet, oil rubbed bronze fixtures and Whirlpool appliances. Landscaped yard w/ Rainbird sprinkler system, radiant barrier roofing. FREE 1-2-10 Warranty. 100% Financing Available. Photos and options may be of like home and may not reflect the list price. This Home is Under construction. Listing provided courtesy of Keystone Team of Meybohm Real Estate.